There is an antique golden unicorn on the mantle of my fireplace. If you look close, you can see the web of fracture lines held together with super glue. One leg has a meandering line held together all the way around it, and the gilded horn sits haphazardly atop several layers of glue. 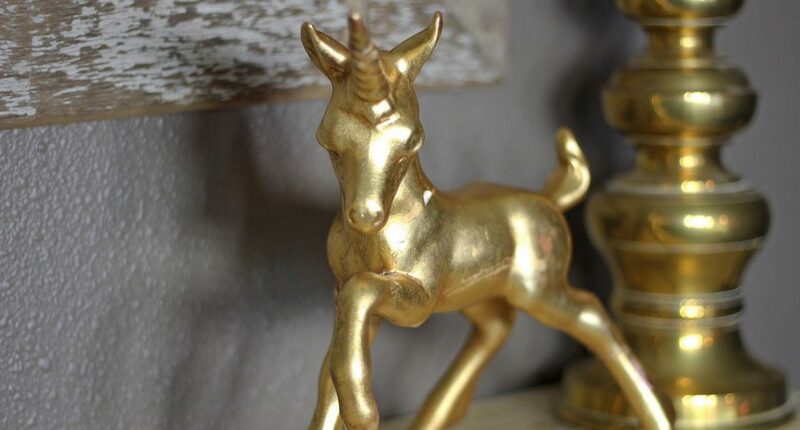 The unicorn was on my Grandmother Shirley’s mantle growing up, and I had always admired it. One day, before her dementia started robbing her more forcibly, she gave the unicorn to me. I was taken aback that Grandma gave me such a significant gift, right off her mantle. Then she told me she had always despised it. My grandmother fought breast cancer twice and won. She had the mastectomy scars on her slight frame to prove it. Her daughter, at the age of 36, fought breast cancer and lost. I think it must not have been too long after my aunt passed that Grandma got the unicorn. She and my grandpa were in a china shop with friends, and Grandma somehow managed to knock that precarious unicorn over and break it. She had to buy it and said she hated it since then. I wish you could’ve seen the way Shirley’s eyes danced with laughter, as they often did, when she told me she hated that darn (a milder version of her word choice) unicorn, and the story of how it ended up sitting smugly on her mantle all those years. I have thought of that conversation a lot since then. Why on earth would Grandma keep that unicorn front and center, all glued back together on her mantle? I never got a chance to ask her. Giving me that unicorn was one of the last times I can remember Grandma being totally lucid before dementia started greedily stealing more and more from her. She knew what was coming and had prepared her kids, home and affairs for that great thief, as methodically as she pieced back together that unicorn. After losing her, I think I know why she kept that blasted thing. That unicorn mosaic told her she could put the pieces back together again. As proof that life fills in the cracks. She could go on and fight and win. An air force wife who made a home for her family in countless countries and cities. Who saw the plane crashes and bombings and had to wait a day to hear whether her pilot husband was one of the downed. Who knew the deepest loss a mother could face, but kept on breathing. Shirley’s life had been in shambles at times, yes, but she was still together, albeit bearing deeper scars than the unicorn on the mantle. The first time I broke the unicorn, I was due to have my daughter any day. The sting from losing my grandmother was fresh; she had died a couple of weeks earlier. Three weeks before my daughter (her first great grandchild) would be born, my husband and I were moving bookshelves and watched with held breath as the unicorn rocked and slow, slow, slowly tipped. It shattered, and I felt a release to mourn my grandmother fully that I hadn’t had yet. Every time I broke the unicorn after, I did what my grandmother did. I methodically picked the pieces up, grieved the loss, sighed, and put that blasted thing back together again. Now, I keep that unicorn on my mantle and remember the resilience of us mothers, us women. A one-horned admonishment sits up there telling me, “You can survive the brokenness. The glue that holds us together can mend, yes, but you will always see the cracks; you will always feel them when you touch. But there is beauty there. There is beauty that rises from the ashes.” So, live fiercely and boldly and gutsy. Life has a way of filling in the cracks. 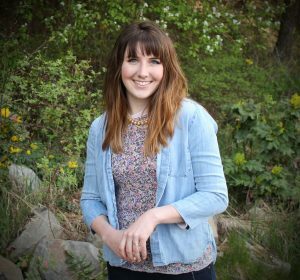 Karissa Barker is a mom of one who battles chronic illness every day, and who strives to find a way to live gladly in Christ no matter what she faces. She shares a life lived gladly on karissabarker.com. This article appears in the Winter 2018 issue of The MOPS Magazine.